The above links are to this Home Page, to the Kenilworth War Memorial Site and to the page devoted to Dudley White. who died in a disastrous Tank Campaign on the Western Front on October 9th 1917. If you wish to know more about KENILWORTH AND THE GREAT WAR, written by Susan Tall and Betty Sunley, then click here. For press coverage, click here. 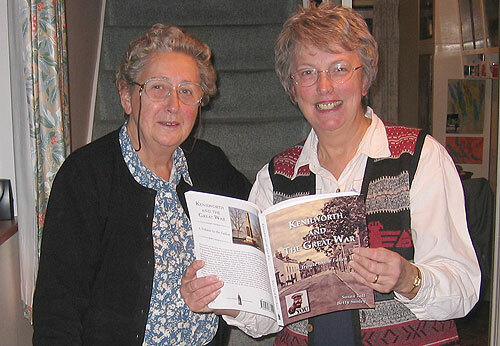 To order a copy, click here or telephone Betty Sunley at 01926 853574. KENILWORTH AND THE GREAT WAR.